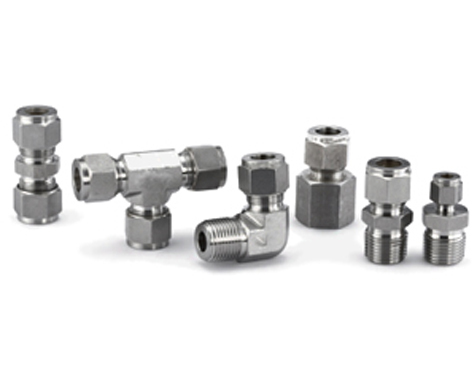 Instrument Tube Fittings - Chase Controls, Inc.
S-Lok Tube Fittings have been designed specifically for the many demanding applications such as chemical, petroleum, power generating, and various types of manufacturing industries. They provide a highly reliable, leak proof and torque free seal on all tubing connections. S-Lok Tube Fittings are commonly used on instrumentation, process and control systems, where high quality tube fittings are required. S-Lok tube fittings are manufactured under very strict quality control to assure maximum reliable performance. Connections can be quickly and easily made by simple insertion and tightening the nuts. The twin ferrule design achieves the leak proof sealing by assembly motion being transferred through the tubing. This is the result of close tolerance control in machining, surface smoothness and hardness of each and every part of the tube fittings. Through this swaging action, S-LOK tube fittings are mechanically integrated with the tube connected.